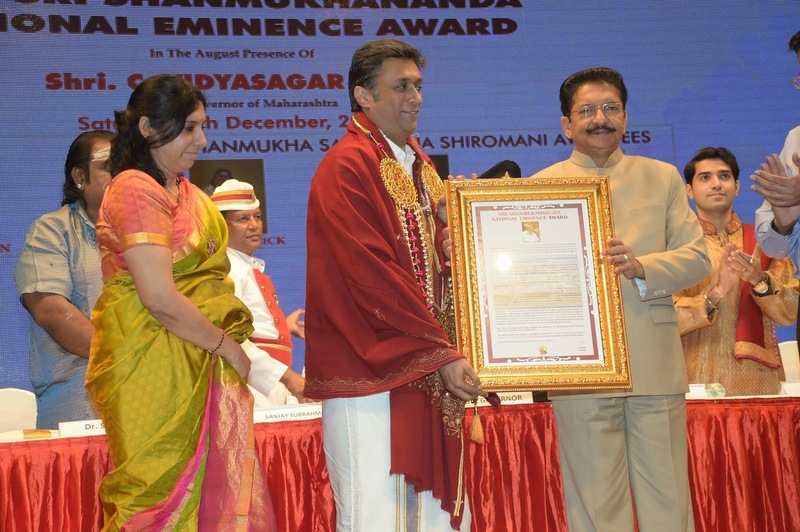 6 December 2014 marked another important milestone in the career of acclaimed musician, Sanjay Subrahmanyan, when the Sri Shanmukhananda Fine Arts and Sangeetha Sabha conferred upon him the National Eminence Award. He is the youngest musician to receive this award. The award was handed over to him by the Governor of Maharashtra C. Vidyasagar Rao at an elaborate ceremony which included temple honours and felicitations from sister sabhas of Mumbai. The Shanmukhananda Sangeetha Shiromani awards were also given away the same evening to Ghatam vidwan Karthick, violinist V. Sanjeev and Hindustani vocalist Samrat Pandit. Incidentally, Sanjay Subrahmanyan was a recipient of the Sangeetha Shiromani award in 2002. To provide a national framework for honouring veterans in the field of the performing arts, as well as emerging stars, the Sri Shanmukhananda National Eminence Award was set up in 2002, the Golden Jubilee year of the sabha. The award carries a cash prize of Rs. 1, 00,000, a citation, a lamp, a trophy and a shawl. 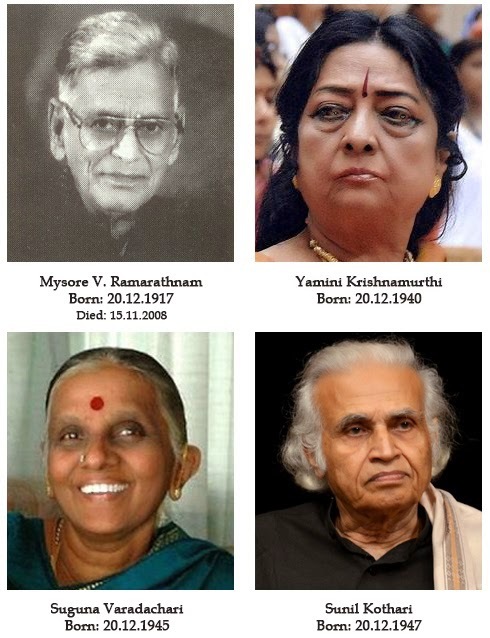 Legends so far honoured with this award include Semmanagudi Srinivasa Iyer, Bhimsen Joshi, Vempati Chinna Satyam, Hariprasad Chaurasiya, Shivkumar Sharma, Padma Subrahmaniam, Girija Devi, Lalgudi G. Jayaraman, R. K. Srikantan, Nedunuri Krishnamurthy, Vyjayantimala Bali, Birju Maharaj, M. Balamuralikrishna and Pandit Jasraj. The Sangeetha Shiromani Award is conferred upon emerging artistes and carries a cash prize of Rs. 25,000, a trophy, a citation and a shawl. So far, 43 promising artistes have received this award. 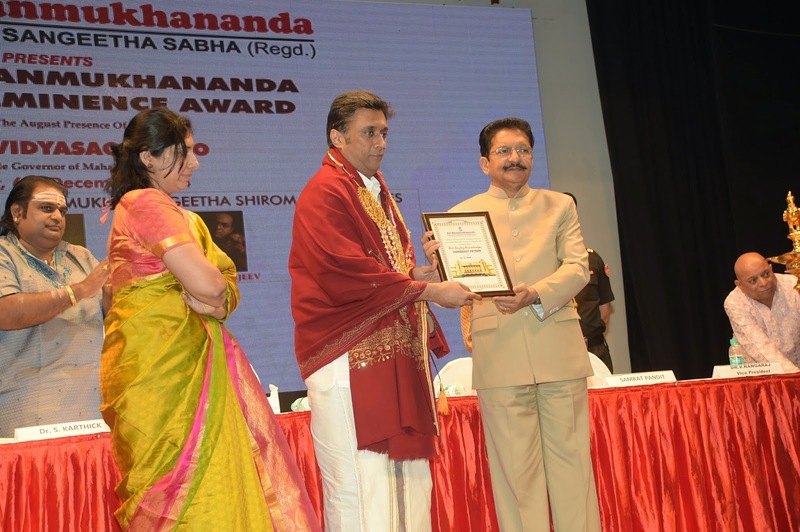 The award function was followed by a memorable concert by Sanjay Subrahmanyan. 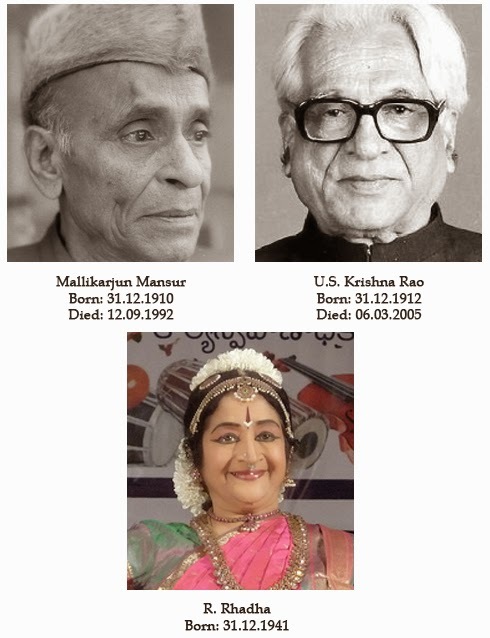 The Natya Kala Mani Award was conferred on veteran natya exponents and teachers C.K..Balagopalan and Kalamandalam Kshemavathi, on 26 December 2014 at the inaugural function of the 34th Natya Kala Conference organised by Sri Krishna Gana Sabha in Chennai. Veteran make-up artist Sethumadhavan was also honoured on the occasion. Natyacharya V.P. Dhananjayan inaugurated the conference and felicitated the awardees. In his inaugural speech he exhorted the dance fraternity to uphold tradition and use appropriate nomenclature and terms to describe specific facets of Indian art forms. Swapnasundari, famous exponent of Kuchipudi and Vilasini Natyam is the convenor of the week-long Natya Kala Conference focussing on the theme "Knowing Again". Y. Prabhu, Gen. Secretary, and R. Venkateswaran of Sri Krishna Gana Sabha were part of the inaugural function. 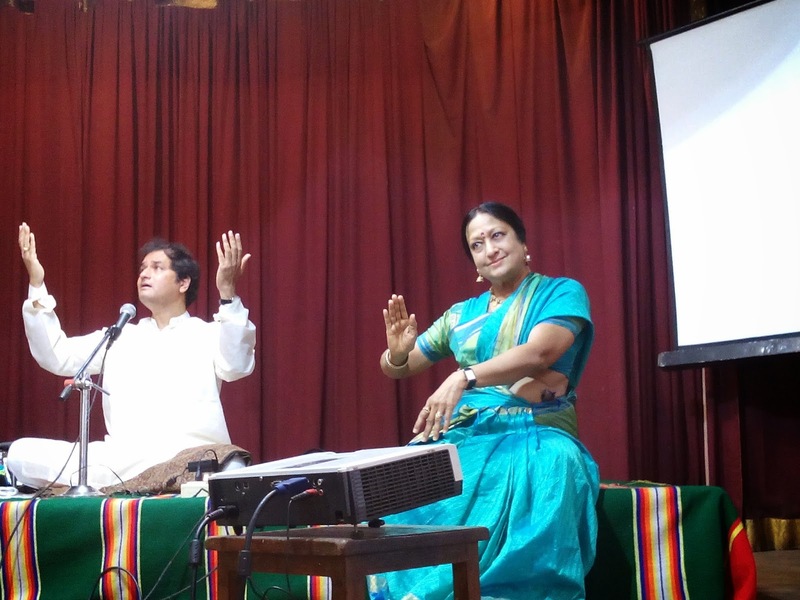 Sruti and the Karnatic Music Forum held a three-day lec-dem series during 12-14 December, 2014. This collaboration, now an annual event, is an attempt to demystify different aspects of music and dance by established and experienced exponents of the arts. The theme this year was Sambho Mahadeva, and the sessions threw light, through Carnatic, Hindustani, and Devotional music, Natyam/Classical dance and Theatre, the pervading aspect of Siva in all these forms. A verse from tevaram Thodudaiya seviyan rendered beautifully as invocation, by three ‘differently abled’ students of music trained by Carnatic vocalist, guru and medical practitioner Dr. S Sunder of Music Forum was a perfect start to what turned out to be a very enlightening series of lectures. Dr Sunder welcomed the gathering and briefly listed the activities of the Forum. He spoke of the forum's association with other institutions to organise events, conduct workshops and record for posterity the knowledge of luminaries in the field. The unstinting support of patrons like R. Thyagarajan, Chairman of the Shriram Group, who was the chief guest for the day, helped sustain the activities and momentum of the Forum, he said. The Chief Guest in his speech commended the dedicated efforts of Dr. Sunder and his team, especially the participation of his students JB Keerthana and JB Sruthi Sagar belonging to the next generation. He posed a question: Do lecdems play a useful role or is listening to concerts enough for a person to appreciate music? He said his understanding and appreciation of Western classical music were enhanced considerably by a course he attended, which made him believe that such lecdems would go a long way in promoting and deconstructing the art to lay persons. He praised Dr. Sundar’s contribution both to his profession as a doctor and to his service to the arts with the same level of commitment. Sruti Editor-in-Chief V Ramnarayan introduced the artist for the first session, Dhrupad exponent Uday Bhawalkar and his accompanist on the pakhawaj, Pratap Awad. Bhawalkar demonstrated Siva Aradhana in Dhrupad. In a way, his concert of the previous evening in memory of Dr. N. Pattabhiraman, Founder-Editor of Sruti, was a precursor to this lec dem. He had presented Raag Shankara and Raag Chandrakauns at the concert. Perfect technique, voice control, and total immersion in his music made the concert truly memorable. The alapana segment included the jhala – somewhat similar to the Carnatic tanam, with underlying rhythm. Pratap Awad provided excellent pakhawaj accompaniment. To a first time Dhrupad listener, the novel soundscape sans harmonium/sarangi accompaniment was a refreshing experience. Uday Bhawalkar started off the lec-dem by saying that he liked to refer to ‘Hindustani’ music as ‘Uttar Bharatiya Sangeet’ since Carnatic music also belonged to Hindustan. The music that he has learnt and practises, he said, is based on bhakti and gyan. He said Siva was his ishta devata. Even more than in temples, he felt one with his God just singing with his tanpura sruti. 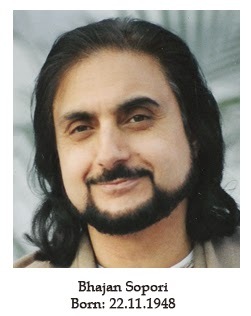 He could visualize Siva as a fakir, with matted locks, roaming freely in the Himalayas. Siva is considered to be the beginning, middle and end – creator, sustainer and destroyer. Every moment in Dhrupad is the same, he said, creating, working on it, then ending it, only to start anew. Like Siva, the great Yogi, there has to be a meditative quality, deep thought, peace and oneness of mind in music. Siva is a dancer – there is dance, rhythm in music. Siva is free of the ashta paasa – ghrina, lajja, bhaya, sankha, jugupsa, kulam, jaatim and sheelam . So also when a person (Jeeva) is liberated from these faults, he becomes Sadasiva. Sadhana (practise, effort) and Siva are anant (endless). Uday Bhawalkar said that musical values correspond to this Siva tattva, understanding and experiencing which enriches the beauty of music. In singing alap, every note produced, every syllable uttered is based on the sound of Aum. Music is certainly spiritual; the bhakti / devotion is to music itself, not necessarily to the words. Uday Bhawalkar demonstrated Siva stuti in Raag Bhairav and Raag Bhatiyar, both morning ragas. He concluded with the Siva Panchakshara stotram of Adi Sankara that he had set to tune in Raag Sivaranjani. To a question about using the voice during the question-answer session that followed, Bhawalkar replied that each singer had his own voice range, and that it could be increased by some exercises. He said that the sound should predominantly emanate from the base, some sounds from the chest; certain sounds like ma and ni came from the sinus area of nose and forehead. He also said that he does not teach ‘voice production’ to his students, but allows them to sing with their naturally endowed voice. He certainly would not want them to just imitate him, but go beyond that, and become greater musicians than him! Another question posed was that the singer had sung the ati-mandara sthayi on both days, but did not traverse higher than the tara madhyama; was it the singer’s choice to limit himself to this range, or wasthe Dhrupad style itself based more on the middle and lower levels? Bhawalkar replied that it was only the scope of the individual singer’s voice that prescribed the range he chose to sing; a singer could develop a wider range by certain exercises. He could sing higher octaves in falsetto, but that would not be open throated singing. What followed was a surprise jackpot for the audience. Dr. Padma Subrahmanyam who had come to present the next session on Siva as Nritta Moorti was so moved by Bhawalkar’s rendition of the Siva Panchakshara Stotram, that she willingly offered to do abhinaya if he would sing it again! So, there was Bhawalkar taking off on Raag Sivaranjani once again, as Padma Subrahmanyam took the pose of meditative Siva. The ten minute impromptu jugalbandi that followed was sheer bliss as the two maestros created a canvas of sound and movement! Sri Krishna Gana Sabha in T. Nagar completes six decades of active service in the field of performing arts. To commemorate this the Sabha is honouring six classical dancers with the SKGS Diamond Jubilee Choodamani awards during the inauguration of the 59th Art & Nritya Festival on 11th December 2014 at the Dr. Nalli Gana Vihar. The Diamond Jubilee Aacharya Choodamani award will be conferred on Bharatanatyam exponent and guru A. Lakshmanaswamy, who has earned a name as an excellent teacher of Bharatanatyam. The five Nritya Choodamani awards will be presented to Ratikant Mohapatra and Sujata Mohapatra (Odissi), Deepika Reddy (Kuchipudi), Dr. Gayatri Kannan and Zakir Hussain (Bharatanatyam). The General Secretary of the Sabha, Y. Prabhu, is all set to spearhead the celebrations of what he calls the Vajra Vizha. He shares with Sruti the highlights of this season and some of the novel presentations the sabha has lined up for its 60th year. Slated for 13 December is an interesting percussion collaboration titled Frame Drum meets Clay Ghatam – a musical voyage from Israel to India, featuring Zohar Fresco (frame drum) and Ghatam Suresh (ghatam, konnakol and vocal). A variety of dance-dramas will be presented by well known dancers and gurus. They are Panchali Sapatham – dance choreography by Jayanthi Subramaniam, music by Rajkumar Bharathi (15 December), Mahabharatham – Vana Viraata Vijayam (Part 1 and 2) by Anitha Guha’s Bharathanjali and guest artists, with lyrics and music by Neyveli Santhanagopalan and P.R. Venkatasubramanian (16 and 17 Dec.), Sri Andal Kalyanam by Kalakshetra (19 Dec.), and Sri Aurobindo’s Savitri by Latha Krishna – a solo presentation of dance, drama and mime (8 January 2015). Sri Krishnarasa Panchamrutham by Dr. Rajalakshmi Srinivasan and Dr. Jayanthi S. Ravi will combine katha, geetam and nritya (13 Dec). Sangita Kalanidhi Umayalpuram K. Sivaraman is involved in two novel esoteric programmes. In Soul Speaks (Aathma Speaks) on 18 December at 4 pm the mridanga maestro leads the music troupe comprising G. Srikanth (vocal), Kandadevi S. Vijayaraghavan (violin), Anantha R. Krishnan (tabla) and K.S.R. Anirudha (nattuvangam and konnakol) for a dance presentation by Priya Murle and Roja Kannan. On 22nd evening, the ace percussionist presents and participates in Jwaalaa – Looking Beyond with a music ensemble of Stephen Devassy (piano and keyboard), U. Rajesh (mandolin), Attukkal Balasubramanian (electric violin), Anantha R. Krishnan (tabla), Rahul Vanamali (marimba) and Saashwathi Prabhu (vocal). Hariharan will regale the audience in an evening of ghazals (20 Dec) and rasikas of Carnatic music can listen to T.M. 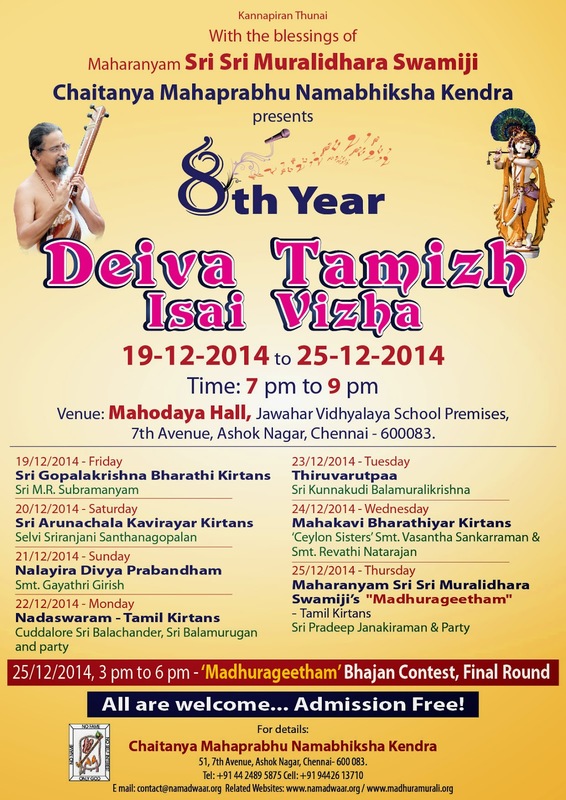 Krishna sing to the sole accompaniment of R.K. Shriram Kumar (violin), without any percussion support (23 Dec). Two stringed lutes from two sides of the Vindhyas come together in a jugalbandhi of masters Chitravina Ravikiran (chitravina) and Shahid Parvez (sitar). Another instrumental collaboration is between Vishwa Mohan Bhatt (Mohan veena) and Ambi Subramaniam (violin). Veda Bharathi – a thematic presentation of Subramania Bharati’s songs tuned by Lalgudi G.J.R. Krishnan and Lalgudi Vijayalakshmi will be presented in Bharatanatyam by four young dancers under the auspices of Natyarangam (24 Dec). The Natya Kala Conference is an integral part of Krishna Gana Sabha’s season. The convenor of the conference this year is renowned dancer Swapnasundari. From 26th to 31st December, daily from 9.30 am, the 34th Natya Kala Conference will deliberate on the theme: “Knowing Again – artistic explorations of less visited characters from Hindu mythology”. A programme with mass appeal would probably be ‘Swappnam – Dreams’ – soundscape, music and compositions by Isaignani Ilaiyaraja, produced by Krithika Subramanian, Sreshta and Namaargam Dance Company (30 Dec). Besides the above, as usual, there will be regular music recitals and dance concerts by senior and junior artists. The Pongal Nagaswara Isai Vizha is in its 27th year and the title of Sangeetha Choodamani will be conferred on nagaswara vidwan Seshampatti Sivalingam, and tavil vidwans Thiruvalaputhur T.A. Kaliamoorthy and Tanjavur T.R. Govindarajan at the inauguration of the festival on 14 January 2015. As Prabhu says, Sri Krishna Gana Sabha is offering varied fare this season to celebrate 60 years. Sangita Kalanidhi Nedunuri Krishnamurthy is no more. 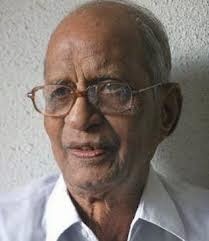 The veteran exponent of the Pinakapani bani, a role model for young vocalists, was 87 when he passed away at Visakhapatnam in the early hours of Monday, 8th December 2014. He was ailing from lung cancer. Nedunuri leaves behind an impressive brand of vocalism, exemplified by his prime disciples the Malladi Brothers. His music was soulful, steeped in classicism, and had a lingering quality to it. He was the recipient of several prestigious awards including the Sangita Kalanidhi and the Central Sangeet Natak Akademi award. With his tremendous work on tuning the songs of Annamacharya, Nedunuri leaves behind a rich legacy of both great singing and devoted academic work. Sruti published a cover story on Nedunuri Krishnamurthy in February 1992 (Sruti 90). His interviews have also been published in later issues of the magazine. Mridanga vidwan Tanjavur R. Ramamurthy received the title “Vaadhya Padmam” conferred by the Brahma Gana Sabha, Chennai on 3 December during the inauguration of its December Art Festival 2014. 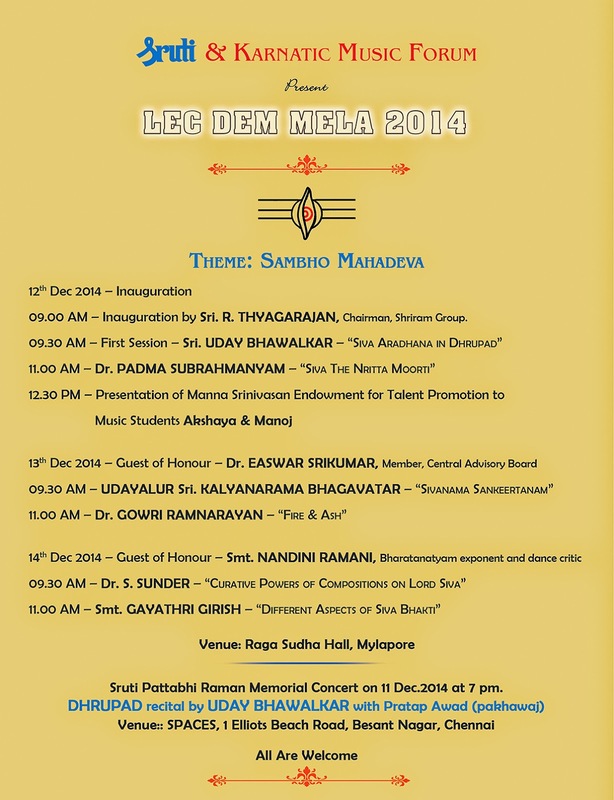 The Vaadhya Padmam award was instituted by Brahma Gana Sabha in December 2013 to honour veteran instrumentalists. Born on 15 June 1929 in Tanjavur to Krishnammal and Rathnam Pillai, Ramamurthy hails from a family steeped in music and dance. His father was a violinist and direct disciple of Tirukodikaval Krishna Iyer. Aunt Veenabhashini was a famous exponent of Sadir/ Bharatanatyam, and father-in-law Tirukadayur Chinnayya Pillai a versatile tavil vidwan. Ramamurthy’s mridangam classes began at the age of nine with Bhairavam Pillai and he made his debut when he was 12. 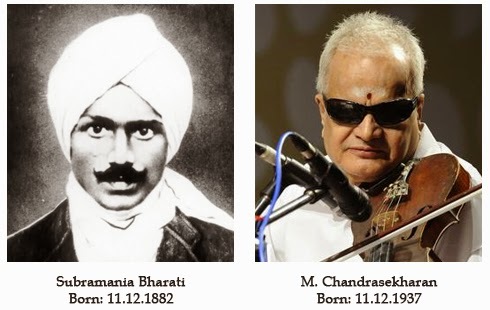 In a year’s time he got opportunities to accompany stalwarts like Ariyakudi Ramanuja Iyengar, Maharajapuram Viswanatha Iyer, and flautist Palladam Sanjeeva Rao. 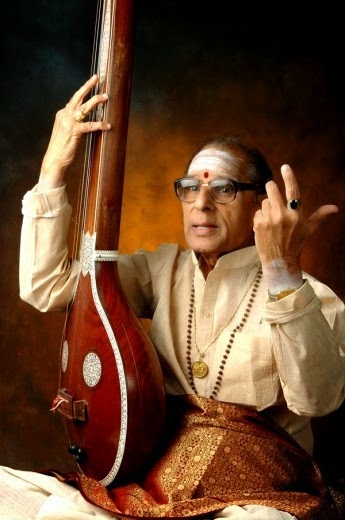 He later received advanced training from mridangam maestro Tanjavur Vaidyanatha Iyer. He joined All India Radio, Tiruchirapalli on 5 September1945 and served there for a record 44 years. He joined as an A grade staff artist and retired in June 1989 with the distinction of being a Grade I Artist. During his tenure he played for several eminent musicians and participated in many National Programmes of All India Radio, Akashvani Sangeet Sammelans, musical features, and laya vinyasam presentations. On special request from AIR-Delhi, he played the mridangam for a vocal recital by Sathoor A.G. Subramania Iyer in March 1950 for the External Services Division. This distinguished former staff artist of AIR is a simple man who shuns publicity. Ramamurthy has more than 70 years of experience as a mridangam artist; and was preferred by many senior vidwans for his gentle and dignified mridangam accompaniment. As he started accompanying musicians at a very young age, Ramamurthy says he has had the rare distinction of playing for several generations of musicians. The list reads like a veritable who’s who and ranges from Marungapuri Gopalakrishna Iyer, Karur Chinnnasami Iyer, Semmangudi Narayanaswamy Iyer, Karaikudi Sambasiva Iyer, Palladam Sanjeeva Rao, Kumbakonam Rajamanickam Pillai, Alathur Brothers, Chembai, Musiri Subramania Iyer, Semmangudi Srinivasa Iyer, GNB, T. Chowdiah, Dandapani Desigar, MS, DKP, MLV, Madurai Somu, S. Balachander, Maharajapuram Santhanam, Lalgudi Jayaraman, M.S Gopalakrishnan, M. Balamuralikrishna, D.K. Jayaraman, T.M. 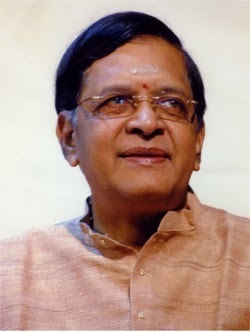 Thiagarajan, K.V. Narayanaswamy, N. Ramani, T.N. Seshagopalan, T.V. 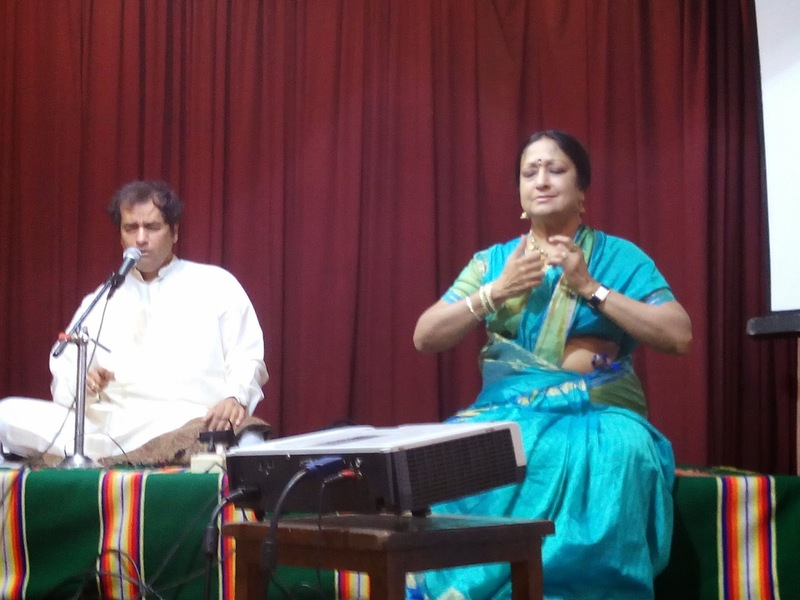 Sankaranarayanan, Geetha Bennet, Mandolin Shrinivas, to T.M. Krishna. He also recalls with pride how the Kanchi Paramacharya asked for an encore of his tani avartanam when he played in his presence at Kaladi. Ramamurthy is the recipient of several awards including the prestigious Kalaimamani award from the Tamil Nadu Eyal Isai Nataka Manram (1981), Isai-k-Kadal from Karaikudi Tamil Isai Sangam (1983), Mridanga Selvam from Muthamizh Peravai (1987), Laya Vadya Ratnam from Sri Sadguru Tyagabrahma Aradhana Trust, Tiruchi (2002), Madhura Kala Nipuna from Laya Madhuraa, Chennai (2011), and the TTK Award from the Music Academy, Madras (2013). When you meet Bhargavii Mani, you are struck by her bubbly and vivacious personality, her larger than life ideas and her ability to execute them. She is the brain behind Edge, a company that wears many hats. She is involved in interior design, graphic design, photography, uses her space for Art at Edge, a platform for a rasika to meet and interact with artists who have excelled in their fields. Art at Edge also hosts artists still experimenting with their art form who wish to perform to an intimate audience. Edge has become synonymous with elegance, quality and creativity. 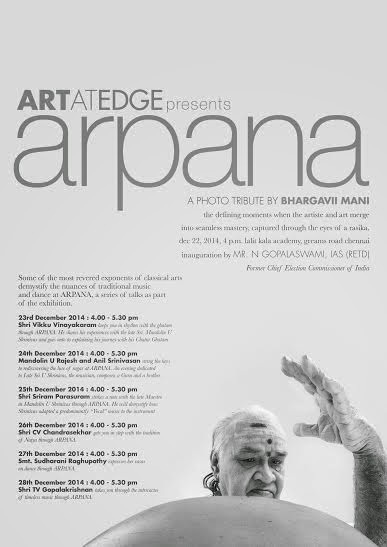 This December season, Bhargavii Mani brings a novel event to rasikas. Apart from going to the various sabhas for kutcheris, sipping on filter coffee and biting into hot masala vada, the Carnatic connoisseurs can also look forward to ‘Arpana’, an Arts Gallery featuring portraits of the leading musicians of today (see photo) and a series of discussions in which the audience can interact with their favourite artists. 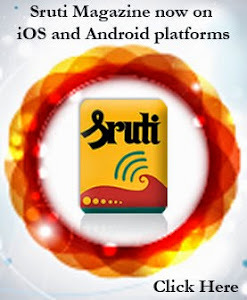 Bhargavii recently spoke of her plans to Sruti. How did your interest in the arts develop? I would attribute much of it to my genes. 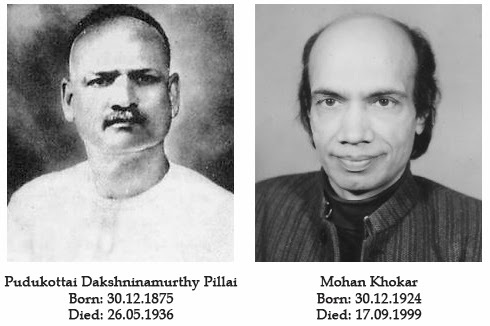 My ancestors include Pallavi Doraisamy Iyer, a contemporary of Tyagaraja and an official musician and artist at the Tanjavur Palace, Sangita Kalanidhi Veena Sabesa Iyer and composer D. Pattammal. I grew up in a household where music was a part of everyday life. I breathed, ate and lived Carnatic music. During my teenage years I started discovering other music genres and other art forms. My passion for the arts led me to pursue an education and career in Interior Design for a while and I stumbled upon photography, thanks to a cousin. My mother Subhasri Mani, played a crucial role in inculcating my love for the arts too. She is an All India Radio B-High graded artist, holds a Masters in Music and she has won several awards. A good musician in the making, she chose to give priority to her daughters and let music take a backseat in her life. Obviously your lineage was an inspiration for the gallery project. It was indeed. The inspiration came from seeing my great grandfather, Sabesa Iyer’s picture at home and at The Madras Music Academy. I saw the picture and tried relating to him. He wore a formal expression on his face, was dressed in the traditional attire of those days and it was a stereotypical formal photo. I tried to visualise him playing the veena, talking, smiling and being one of us, but I was unable to. I asked my family if we had any other images of his and was told that we did not. This led me to question why people had not taken portraits of artists enjoying their respective art forms. I wondered why there were not many aesthetic photos of the artists losing themselves in the art and performing while being oblivious to the presence of a camera. I felt that I could use my talent in photography and design to contribute to the current and future generations; I decided to photograph the eminent classical artists of today. I wanted to capture them in their element, when the artists become the art. I wanted to show the power of a portrait to convey the power of dance and music. Who are the artists featured in the portraits? We have had the honour of covering Vikku Vinayakram, T.V. 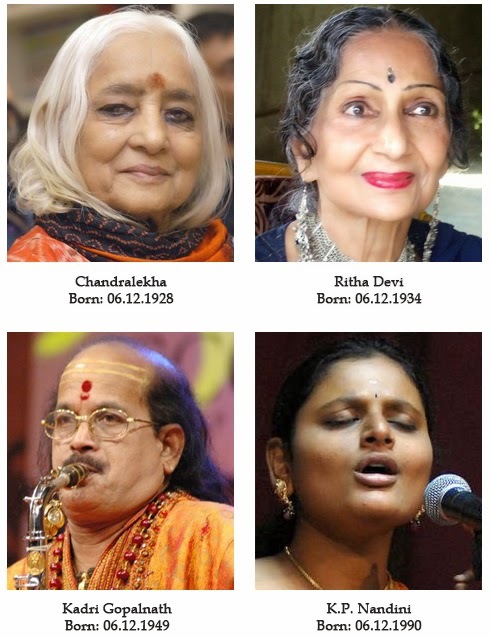 Gopala­krishnan, Sudha Ragunathan, Chitra Visweswaran, Sudharani Raghupathy, the late Mandolin U. Shrinivas and many more. All the artists we are featuring are great musicians and dancers. I am absolutely humbled that they graciously gave me their time and trusted me to capture them doing what they do best. Any interesting anecdotes from all the shoots? I will be sharing all my experiences with each artist during the Gallery event. Every artist performed for me and my team – it was an experience that we will carry close to our hearts for many years to come. Vikku Mama is my lucky mascot. He was the first artist we shot, followed by the much adored Mandolin Shrinivas anna. It was an absolute delight to capture my guru Chitravina Ravikiran in his element too. I hold Sudharani Raghupathy in a very special place in my heart. She was absolutely thrilled to be part of the shoot; she gave so much care and thought to the jewellery and traditional wear she chose. Her energy was infectious. Prof.C.V. Chandrasekhar mesmerised us with not just his dance but his singing too. During the Gallery event, I hope to share all the anecdotes which I am sure will tug at the hearts of rasikas. They will walk away learning that the artists have managed to achieve success because they always remember that the art is bigger than the artist and that there is no end to the path of learning. Even my team of photographers, some of whom are non-musically inclined were overwhelmed by their humility. Please tell us more about the Gallery and the events. The Gallery is open to all. 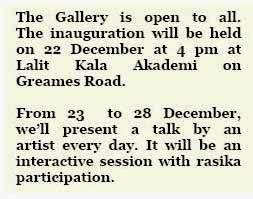 The inauguration will be held on 22 December at 4 pm at Lalit Kala Akademi on Greames Road. We are extremely honoured to have N. Gopalaswami, the new chairman of Kalakshetra, as our Guest of Honour. We expect all the artists featured to be at the launch too. From 23 to 28 December, we’ll present a talk by an artist every day. It will be an interactive session with rasika participation. We are also holding a small tribute for Mandolin U. Shrinivas. With the permission of the artists, rasikas will be able to order prints of the portraits and have personally signed copies. The first international conference on the Emergence, Development and Future Directions of Bharatanatyam in Singapore and Malaysia, is scheduled for 6 and 7 Dec 2014 at the Stephen Riady Centre, NUS, in Singapore. The two-day event, packed with keynote addresses, panel presentations, round table conferences, and lecdems, aims at balancing academic scholarship that the art requires with the creativity that the art involves. Jointly organised by Nrityalaya Aesthetics Society and N Dance & Yoga (A space for research and experimentation in dance and somatic practices), the conference promised to be a confluence of dance scholars, researchers, artists and cultural observers from across seven countries. Singapore-born Indian, Nirmala Seshadri was nudged into learning dance as a child by her parents. Like most children, she simply followed the discipline and routine of classes, without understanding the ‘whys’ and ‘wherefores’ of dance. But as she grew older she found she had many questions. Her search for answers prompted her to conduct a research on the dance scene in Singapore, even as she completed her Masters’ Degree in England. She felt that an international conference would provide a space for academic scholarship and artistic interaction, and help drive the research forward. 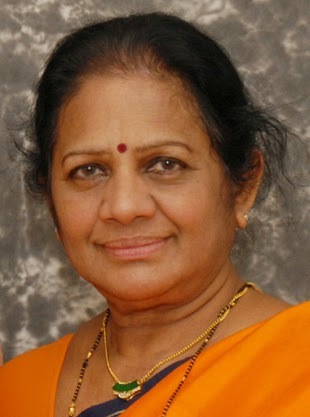 In 2012, a discussion with her first guru, Santha Bhaskar about a research proposal on the emergence and development of Bharatanatyam in Singapore led to greater planning, and together they drafted a proposal and presented it to the National Arts Council, which immediately came forward to fund it. For the conference Santha Bhaskar, as joint organiser, provided invaluable information about the art form in terms of its local, regional and historical context. Prof. Urmimala Sarkar lent support as academic advisor and Nirmala took on the task of looking into every aspect in detail as curator and co-organiser. Regarding the process of inviting the panelists, they followed a simple method of first inviting scholars who had already worked in the areas relating to the conference. The next step was to call for abstracts from artists and academics in the dance field. 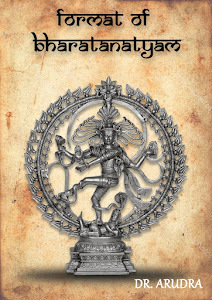 It is probably the first time that a conference on Bharatanatyam, of this magnitude, is being held in Singapore. Any project needs the unstinting support of sponsors, and in the Singapore chapter too, the National Arts Council and NUS (National University of Singapore’s Centre For the Arts) have come forward to translate this dream into a reality. Here is a rare instance of guru profiling (and celebrating) sishya. 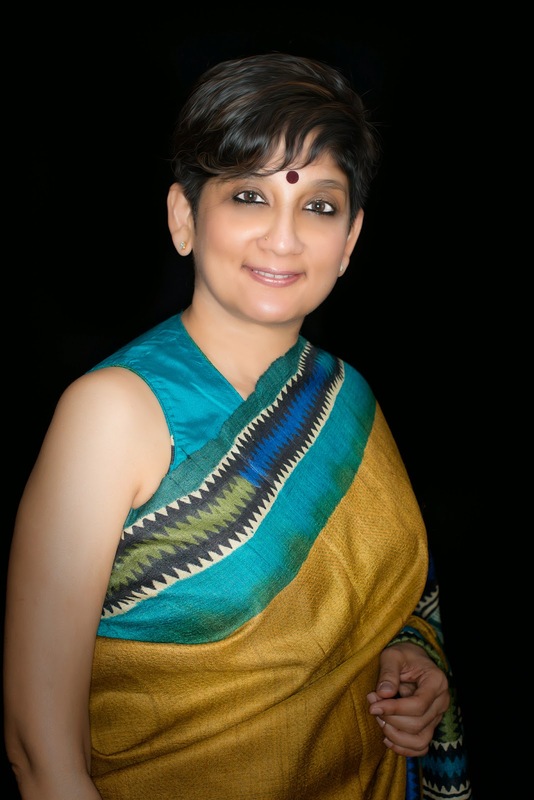 Aditi Kaikini Upadhya, the author of this piece, is an established vocalist in the Agra gharana, and a teacher and musicologist based in Bengaluru. A daughter of the late Dinkar Kaikini, a cerebral and renowned icon of her school of vocalism, and Shashikala Kaikini, vocalist and academician of repute, Aditi Upadhya also trained in dadra, thumri and hori with the late Shobha Gurtu. She is much in demand for her lecture demonstrations and workshops on Indian classical music. As we can see from this blog post, she is a devoted guru as well. Priya Purushothaman approached me with a request to teach her Hindustani vocal music in the summer of 2002, while she was visiting Bangalore. She had just finished her third year at Columbia University and had come to India to visit her family. Like many prospective students whom I meet in the south, she had thirteen years of training in Carnatic music that she had received while growing up in New York. I asked her why she wanted to learn Hindustani music, and she told me of her interest in the increased improvisational freedom she felt this style would give her. I agreed to teach her for two reasons, the family she belonged to, and the determination and perseverance I saw in her eyes. (Daughter of Tamil-speaking parents Ramaa and Sampath Purushothaman, Priya went to school at New York and graduated from Columbia University, NY. Married to photojournalist Hari Adivarekar, she now resides in Bengaluru). In those two months, she received a brief introduction to the style and my method of teaching. Realising she had barely scratched the surface but very keen to do go deeper, Priya decided to take a year off after graduating from college dedicated to studying music under my tutelage. In this year, she lived with me and my family, immersed herself in the taalim, the culture of the art, interacted with many artists who would visit our home, and was very fortunate to get time to spend with my father, Pandit Dinkar Kaikini. She visited him every few months and spent time discussing musical matters with him as well as taking lessons. 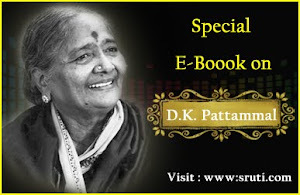 Using the material she gathered over the years in these interactions, she released a book titled: "Living Music: Conversations with Pandit Dinkar Kaikini" in 2012, published by Popular Prakashan*. This gurukul style of training continued for more than the initially planned year. After experiencing both the challenges and gratification of this training, she decided to continue her music training further. She travelled with me for concerts and learned about the skills required to be a performer in addition to the scholastic training that develops a solid foundation. I am sure this lifestyle was quite a challenge for her after living in New York all her life. But she showed absolutely no signs of any discomfort and instead just became a part of the fabric of the family. She then became our third daughter and all three of them really bonded and enjoyed their time together. After a few years, torn between the choice of following a life dedicated to music in India and going back to her life in the US, Priya went back to New York to work for Carnegie Hall. During her time there, she worked in the educational wing organising in-depth workshops for young artists with master artists in various musical styles. Though she gained valuable experience in this position, Priya decided that her heart was in the performance side of music, and returned to India after one and a half years to resume her training which I was sure would happen. Since then, she has been in rigorous training with me and has gradually built a life of her own as a young musician. This of course would never have been possible without the dedication and hard work she put in. She truly has the capacity to follow the "just do it" mantra so popular today without initially questioning the process! 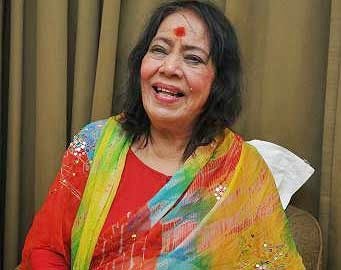 Through long and patient hours of riaz she puts in, working on each of the aspects of Hindustani raga sangeet, understanding, internalising and polishing each of them individually. This has also given her an insight into experiencing the ups and downs of the initial years as a performer, and honed her intellectual capacity as a thinker. Priya has performed at various venues in India, including NCPA, Mumbai, Kalakshetra, Chennai, Jaganmohan Palace Auditorium, Mysore, Devnandan Ubhayker Yuva Sangeet Utsav, Bangalore, India International Centre, Delhi, and more. She has also been performing frequently in the US--in New York, California, Seattle, and other major city centres. This parampara -- which goes back to Pandit Vishnu Narayan Bhatkhande, Pandit SN Ratanjankar, and then Pandit Dinkar Kaikini -- places a great emphasis on pedagogy. Bhatkhande is of course most well known for the codification of modern day Hindustani raga sangeet, and those following him have adopted a structured teaching methodology that makes an otherwise abstract art form more accessible to students. The belief that education is the underpinning of sustaining this art is at the crux of the philosophy of these great musicians. In this vein, we train students not only to perform but to be effective teachers as well. Priya has also been a dedicated teacher for the last six years, training both children and interested adults to make them good singers and informed listeners. 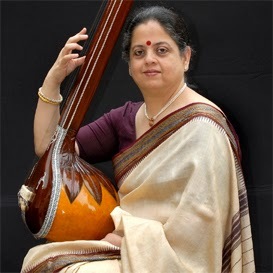 She conducts lecture-demonstrations and workshops, and has done these at institutions such as the Utrecht Music Conservatory, Codarts Conservatory, Rotterdam, Syracuse University, NY, and Manipal University in India. Veenapani Chawla, actor, director, choreographer, writer, musician, composer, philosopher and founder of the Adishakti Laboratory for Theatre Art Research in Pondicherry, passed away today at Pondicherry following a heart attack. Sushma Somasekharan appears poised and confident; her love for music is evident in the enthusiasm with which she talks about her art. Twenty seven years old and a public accountant by training, Sushma is a first generation musician – quite a rarity in the classical music circles of today. 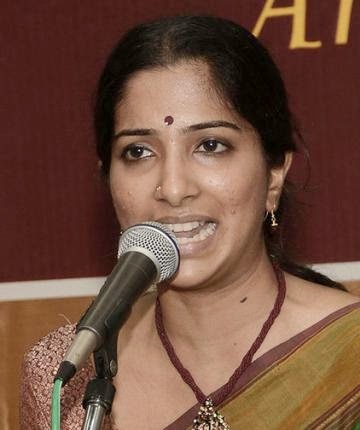 Born in Singapore, Sushma trained there in Carnatic music under the tutelage of Bhagya Murthy. She moved to India in 2009 to pursue music full time, and came under the training of Lalitha Sivakumar, daughter-in-law of D.K. Pattammal. A graded AIR artist now, Sushma has performed at many major venues, including the Esplanade-Theatres on the Bay, Singapore. Sushma shares her views and experiences on music, lyrics, career choices, Tyagaraja, and more. When did you start learning music and what was it like then? I began music lessons at the age of four. I did not really know what I was doing; I was just yielding to parental pressure. Now I am glad that my parents forced me into it as a child. But I do wish that Carnatic music was made more accessible for beginners. Learners in the initial stages are usually lost and hardly know what they are getting into. As a child growing up in Singapore, I often hated to be bundled off every Sunday to sing Sa Ri Ga Ma of which I knew no meaning, when the rest of my contemporaries were singing Twinkle twinkle. If the music is not even easily accessible to the learners, it is difficult to expect it to be accessible to the larger public. How do you think this accessibility can be brought about? Won’t the quality of music be diluted if made suitable for a wider audience? Carnatic music is mostly appreciated by a niche group. It ends up becoming elitist and does not reach a wider audience. It is usually performed in sabhas, and not everybody goes to listen to this pure kutcheri format. If we bring Carnatic music out to public spaces, parks for instance, the barrier could be broken. Another way could be by explaining the meaning of the songs. This way, people can understand the emotions and be better involved with the song. I do not think the quality is diluted in such cases, as we are not removing anything from the music itself. We are only trying to broaden the kind of venues where Carnatic music is performed. How much importance do you attach to the lyrics in music? To me, lyrics are extremely important. They help us emote accordingly, and communicate the nuances better. Subramania Bharati’s songs of love sound better to me after I understand the meaning and emotions. Tyagaraja’s songs have almost a conversational tone with Rama, the understanding of which helps me render the composition more effectively. The listener often may not know the meaning of the song. But I think it is important for at least the singer to know the meaning so that she can communicate the emotion to even those who do not know the language. Many Carnatic musicians are highly qualified in other fields like mathematics and engineering, which is not so common in Hindustani music. You have studied to be a public accountant. Why do you think this is so? (Laughs) It is a question of cultural anthropology. If I may say so, south Indians tend to give a lot of importance to a formal degree. And we tend to play safe, have a ‘back up option’ in case music does not work! This is quite an advantage because music is freedom and sometimes you may lose focus. The engineer in you gives you a discipline in thought that can help you structure your music too. Also, having a mainstream career helps build your confidence, in the way you interact with people. You left your corporate job to pursue your passion. How did this decision come about? In 2004, I spent six months in India and started training with Lalitha Sivakumar. Until then music was just a hobby. It is only at my guru’s class in Chennai that I saw how music was for many of the other students – a way of life. People from smaller towns were learning from her because of their passion for music, and I realised how I had been pursuing it in such a casual manner. Soon after, I decided I wanted to make music my way of life too. Did the thought of a financially unstable career ever scare you? On several occasions! It was scary in the beginning; I was in a new country where I did not have many friends, but the intangibles made up for all that. I had an understanding family, and I got grants from the Singapore Government. Also, I realised I was not the only one doing this – there were several others who had quit high paying jobs and left other lives to pursue music. So we gained our strength from each other. Do you get non-Indian audiences when you perform in Singapore? 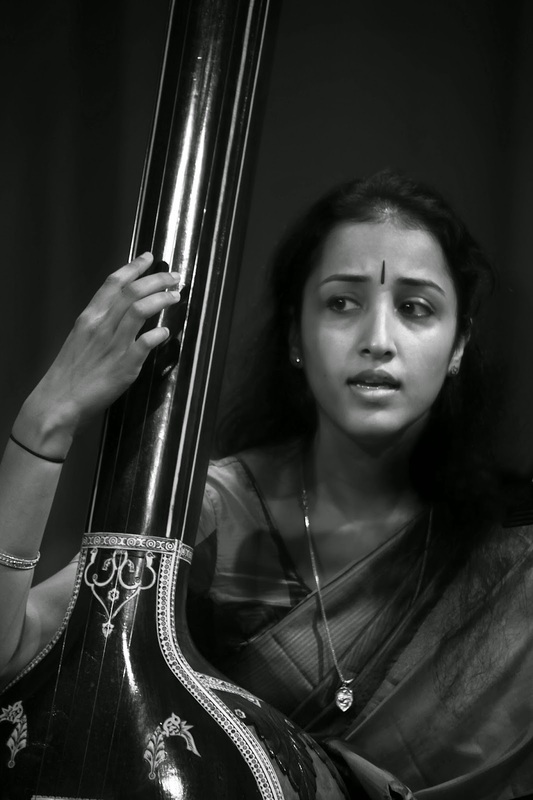 What is it like to convey Indian classical music to the uninitiated? We have started attracting Chinese and Westerners in our recent shows,. The themes and anecdotes we select are not strictly religious, and hence we manage to make it appealing to all. For instance, in one of our shows called Samarupa, we celebrated the different forms of a woman – as a mother, as Shakti, as a lover. We used the character of Andal, a child poet, and introduced the practices of decorating houses with kolam, lining the eyes with kajal, and braiding of the hair, and linked these practices to Andal and her poetry. Most of these themes are universal – the story of lovers, Krishna and Radha – the promiscuity and the jealousy for instance. All these ideas are quite human and can be related to by most people. Kathak legend Sitara Devi died at a Mumbai hospital on Tuesday, 25 November. She was 94. Born in 1920 in Kolkata, Sitara Devi was one of the most celebrated Indian classical artists of the 20th century. Sitara Devi, on whom Rabindranath Tagore conferred the title Nritya Samragini, was much decorated. 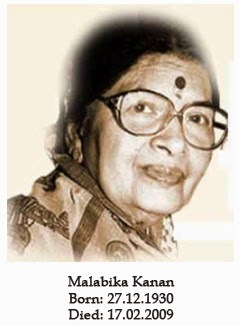 Her awards and titles included the Sangeet Natak Akademi Award, the Kalidas Samman and the Padma Shri. 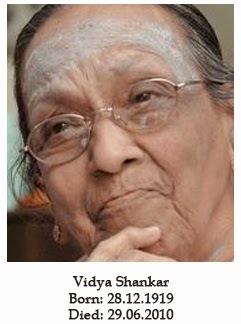 Fiercely independent all her life, she turned down the award of Padma Bhushan by the government of India. Sitara Devi was married twice, first to film director K Asif, and later to Pratap Barot. She is survived by her son Ranjit Barot. Ever wonder what goes on behind the scenes of your favorite song, between the glass and wood that separate the console from the cubicle? It's not just the attractive voice, pulsating beats and catchy melody that grab your ear. The task of recording and mixing sound is onerous, one that requires immense skill, concentration and patience. It can add or subtract from even the best-written and well-performed numbers. Sai Shravanam is one individual who regularly undertakes that task. His recording studio Resound India, a state-of the art audio production facility in Chennai, offers total audio production – from creating music albums, multi-lingual voice-overs and sound design, to original music, post-scores and jingles. What is so important about having a great audio technician, seated behind that forbidding-looking panel of knobs and slides? As part of the team of Fire and Ash, a JustUs Repertory production directed by Gowri Ramnarayan, premiered on 14th November 2014 and to be restaged at Kalakshetra on 6th December 2014 in Chennai, I recently had an opportunity to observe Sai Shravanam at work, while recording the sound track for this production. Apart from providing the most relaxed and comfortable recording ambience, he had the solution for every requirement – a temple bell, the sound of a tavil in a temple procession, thunder, gentle breeze and the list goes on. “How nice it would be if we had the chirping of birds,” exclaimed Gowri, for a section that depicts a village scene. And there it was - the birds called out over the speakers! As a trained Audio Engineer, Sai has the complete knowhow of the technology and the scientific understanding of sound. Mixing consoles, microphones, equalizers, amplifiers, speakers and more such terms are part of his daily jargon. His job centers on knowing how to use various studio aids that capture pristine sound. But his passion takes him further. A good recording is not really about the equipment. It is not enough if the technician is a wielder of technology, which is but a means to an end. The point of all the mad-scientist whizz-bangery is after all to assist in presenting a great performance to an audience. What about the aesthetics of sound? This is where Sai’s musical training and intuitive taste for good music come in handy. He is an accomplished, self-trained tabla player. He also plays the piano and arranges music for albums and movies. Sai finds himself falling back on his musical acumen more often than not “...because good music is the basic requirement for a technically perfect recording. Technical expertise and musical knowledge could help me reconstruct a track completely and bring back its intended color and life with no compromise! Mere technological expertise can't handle classical forms of music recording. You need the ear of a musician at the console...” says Sai. When asked about the creative challenges he faces, he responds promptly “In the various stages of creating music, the inherent exchange of ideas and knowledge between the console and booth that brings out the best, the ‘unseen aspect’ of an artiste during a recording is the most challenging yet satisfying part of the process.” That he is a key point in the evolution of a production is the icing on the cake. A stickler for perfect sound, Sai will not proceed if he is not satisfied with the output at any point in the recording. And yet this is where he has to tread carefully without bruising artistic temperaments. His role behind the console is predominant, but one that he plays subtly and sensitively. Western engineers and producers consider him a classically trained sound designer-producer, an admirable and formidable combination of roles that Sai juggles with ease. With the ears of a lynx, the head of an engineer and the heart of a musician, he is perfectly equipped to take on the most challenging assignments – effectively using his craft to serve his goal of connecting ‘the real to the ideal’. SN: Is recording an art or a science? SS: I would prefer to think of recording more as an art than a science. Though science is an essential component, it is only an aid towards achieving what we want for music to reach our ears. Fundamentally, humans hear sounds three dimensionally. In simple terms, when we have a conversation in a room, we just do not hear the other person directly; what we hear is the direct sound from the source as well as the reflected sound from the walls, floor and ceilings. The human brain perceives sound in this manner. When sound is captured through a microphone, it is a single source, unlike the human ear, which adjusts to any given situation. In a studio, we try to capture the source as much as we can and emulate the acoustics using technology, to bring out the best in the form of a recording. The irony lies in the fact that though this process involves science, it is finally the human ear that judges the recording, decides the levels, understands the harmonic content and mixes the desired output. In other words, given the best available technology, if the engineer cannot understand music, its nuances, its dynamics, a vocalist’s perspective, and an instrument’s characteristics, he may not be able to decide ‘what’ to use in the available technology and ‘how’ to use it effectively. I would think it is very important at the console to be an artiste who sculpts sound and not just an engineer who tweaks knobs. SN: Are there inherent differences in the way you approach different recording assignments – Indian classical music, music for Indian classical dance, films, documentaries and theatre? Do you require different working styles for different kinds of productions? SS: Absolutely! Each genre involves a distinct set of challenges and requires a different handling. Classical music: This is one form of music that is the most complex to handle not only because of the richness of sound, but the richness of content. 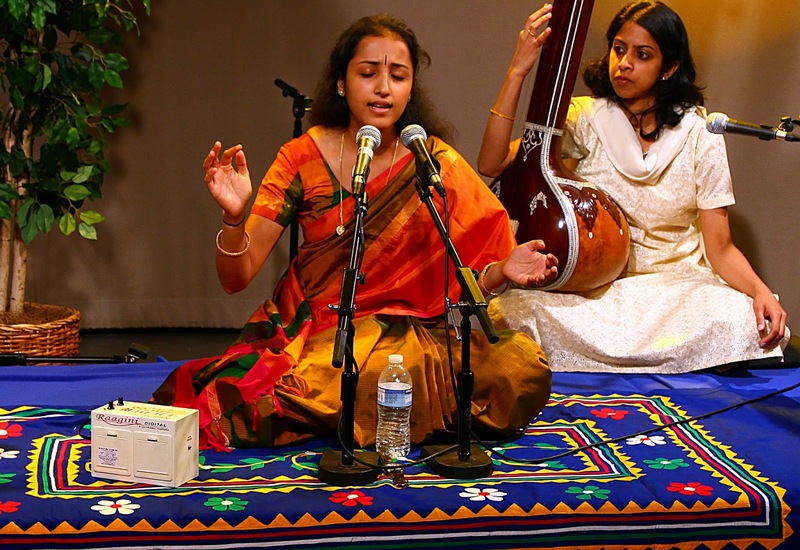 South Indian classical music is largely vocal-centric with accompanying instruments. The lyric is a very important part of it. While compositions evolve mostly out of the lyrical richness, the music also takes shape from the lyric. The mix is dependent on the extent to which the lyric cuts through the mix and the crucial factor of accompanying instruments not dominating, regardless of how they are played. Also, recording classical vocalists is difficult as their expressions (physical movements of head and body) leave the microphone orphaned at many instances. Another key aspect is that all classical artistes are live performers not used to the studio environment, to being isolated in a booth and hearing themselves through a headphone, as both physical and mental comfort is lost. I have recorded almost all the classical musicians of this era and have taken immense care to ensure they feel comfortable. I give them the best possible audio feedback that is central to their pitching and creativity, ensuring they can render with ease and full freedom despite the alien experience of singing in a studio. 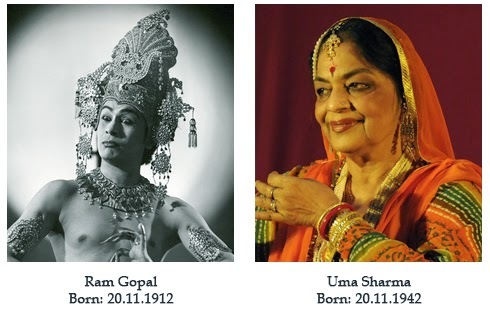 Classical dance music: I was inducted into this only because of noted musician-composer Rajkumar Bharathi. He is one of the best composers for dance music that I have had a chance to record and observe, and whose personal and artistic influence on me cannot be understated. This genre is very different because today, the music takes shape even before the dance is choreographed. I have never just engineered a recording but always co-directed almost all the production with decisions on how the music must evolve and soundscape achieved. Nowadays since Click track recording is very suitable for various reasons, I have to understand a dancers viewpoint as well. Even two beats more or less can make or mar the recording. Also, once a pilot track of vocal music is recorded, the rhythm sections and the dramatization of beats are very different from generic classical music. Recording them on click is not easy and this is where my being a percussionist is very useful. I also play the piano to an elementary level and compose music. All this helps me in understanding the composers’ perspective. The process of mixing for dance music is completely different. These recordings are not heard on high-end systems or on i-pods. They are mostly used as soundtracks in live performances. The mix has to suit a live sound that is available in existing theatres, with the capacity to compensate the acoustic deficiencies in most of the large halls across the world. A clearly heard rhythm to aid footwork is essential for the dancer to feel at ease on stage and the mix needs to ensure this. For this purpose, I personally visit the theatre to see how the mix translates in a live scenario, to learn with my ears and then apply what I have learnt to the next mix. Raising the bar for the quality of Indian classical music productions is a goal dear to my heart. Even after completing over 600 such projects, I enjoy the novelty of every production – such is the beauty of art. Film music: This is what goes out to the broadcast medium. These mixes need to be commercially successful. Sometimes the music needs exaggeration in the mix for a dramatic effect. Mixing for films gives me freedom to change the original sound completely. The composer’s vision can be mixed in numerous ways using technology, which now plays a very important role. Synthesized music has pre recorded sounds and samples and the processing is quite different from recording real sound out of an instrument. Film musicians differ from concert artistes. They are seasoned for studios and they know exactly what output is required through the microphone and also the pros and cons. The whole recording process is very different. Documentaries and theatre: This is an area where I deal with more than just music. What take centre stage here are the voice-overs and ambient sound. A different aesthetic is required to mix and master such productions. Recording ambient sounds in nature, recording sound effects in very difficult situations, are all a part of it. Sometimes due to practical constraints such as difficult, unapproachable terrain, I may have to recreate the required effects in the studio. Imagine for instance, a flamingo flapping its wings in the middle of an island - we capture the shot using a zoom lens, but the microphone cannot pick up the live sound. So we use a cloth to recreate the same sound in front of a microphone inside a studio. A bird's wing flaps during its take off using a post it sticker book, a tigers paws on dried leaf using a crepe paper and two soft filled socks and so on! In the end, irrespective of what the genre or style may be, every mix is like a newborn child with a unique character and destiny of its own.